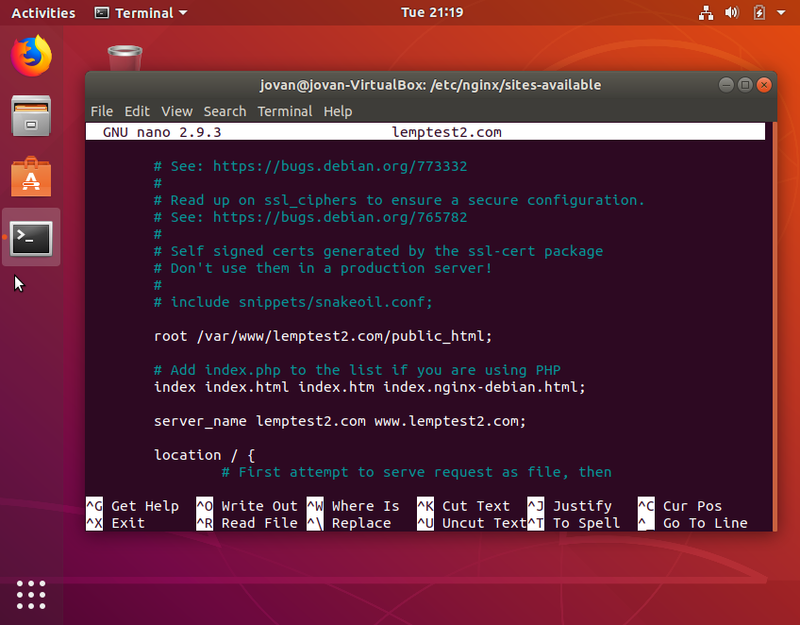 In the first part of this LEMP installation guide, we went over updating and installing your Linux packages, installing and testing Nginx, configuring network ports, and creating test pages. Now let’s edit the first Server Block we copied. Now look for the server_name _;line. (TIP: You can use CTRL+ Wto search while in nano.) Change this line to include the domain name, which in our case is lemptest1.com. We also will add a www. prefix to our domain list here. The only big difference between configuring your first and second server blocks is the difference in domain names and also making sure there is only one default server running in your instance. You can only have one default server, or else your web server will fail. 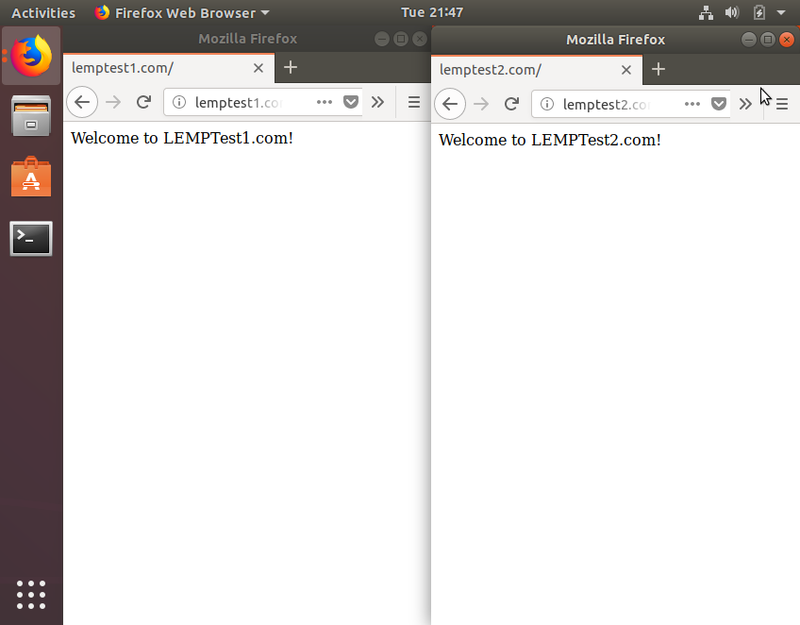 Let’s copy over that default Nginx template again, this time to our lemptest2.comdomain. 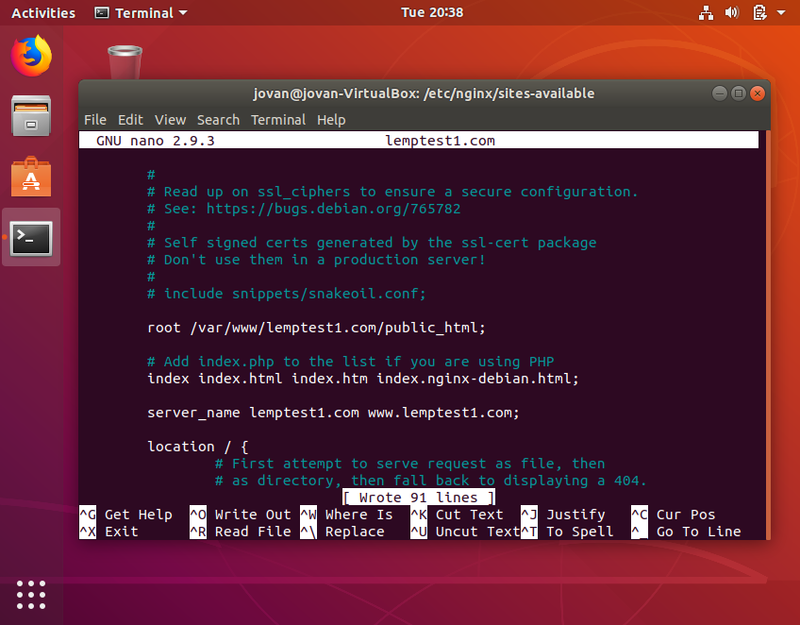 Now let’s edit the lemptest2.com file by using nanoand scrolling down to the listenline and removing default_server. For the sake of keeping this part of the guide short, I’ve included screenshots of the config file and how it should look. By repeating the same steps as the first Server Block, you should have no problem, just make sure to remove the default_serverline. Don’t forget to check your Nginx syntax by using the sudo nginx -tcommand. Nginx reads symbolic links upon startup so we will need to configure them to make sure Nginx serves them and they are accessible. Be sure to remove the symbolic link for the default server block, or else it will cause problems with our two main ones we just added. If you see this, then you win! 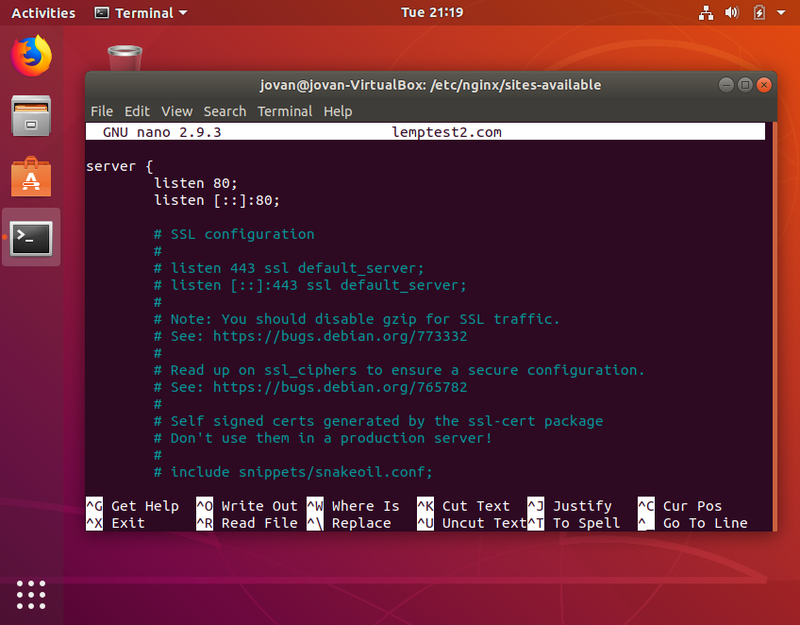 In the final installment of this three-part guide, we will be installing MySQL, configuring the security settings, installing PHP and ensuring Nginx is properly configured to serve PHP files. Stay tuned!